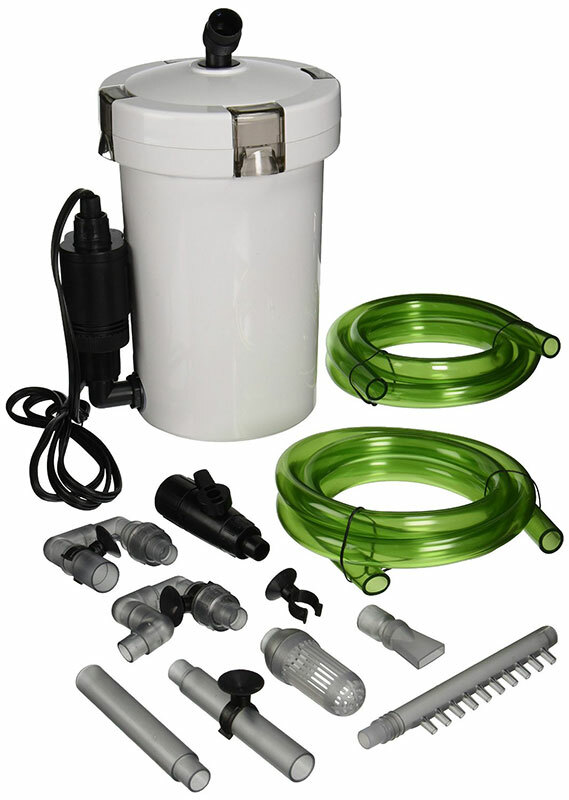 - Small, convenient outside-the-tank canister filter perfect for mini cube or nano tanks up to 30 gallons. It can be placed either on the table top next to your aquarium or in the underneath cabinet. 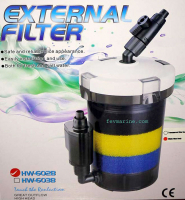 - Water is pumped through the filter media, filtering out undesirable particulate matter and purifying the water. 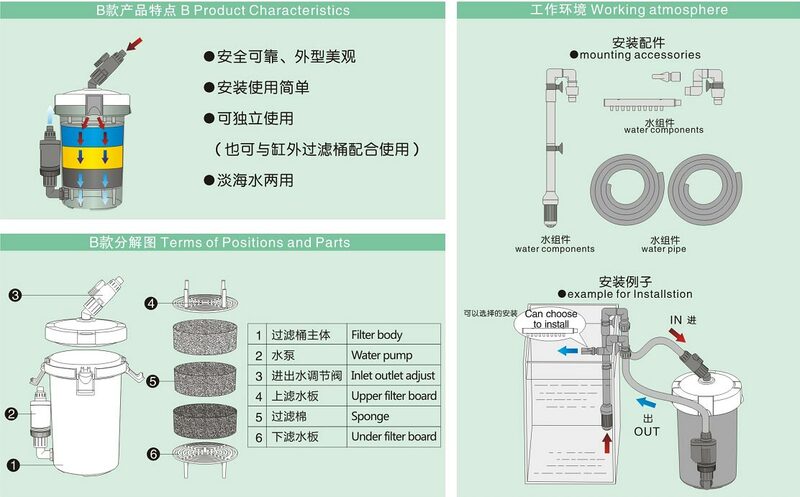 A set of sponges of different pore size: coarse, medium and fine, are provided to catch the smallest particles while maintaining higher water flow rate. Or you can add your own choice of media to gain additional chemical and biological filtration.